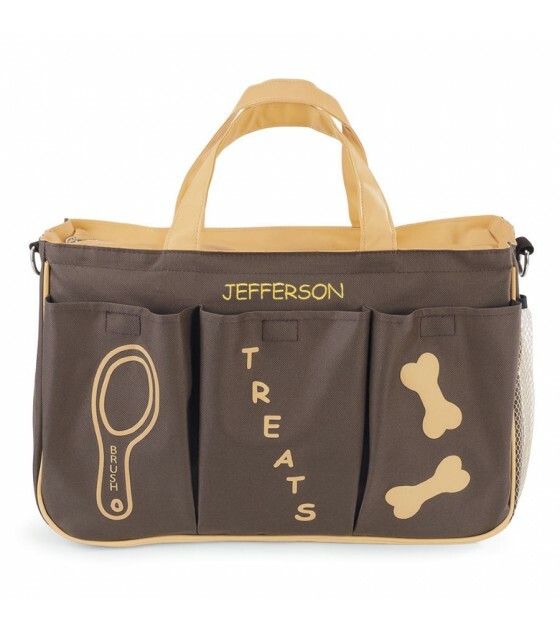 You won't forget any of your poochie's travel necessities when you carry his own "doggy diaper bag." 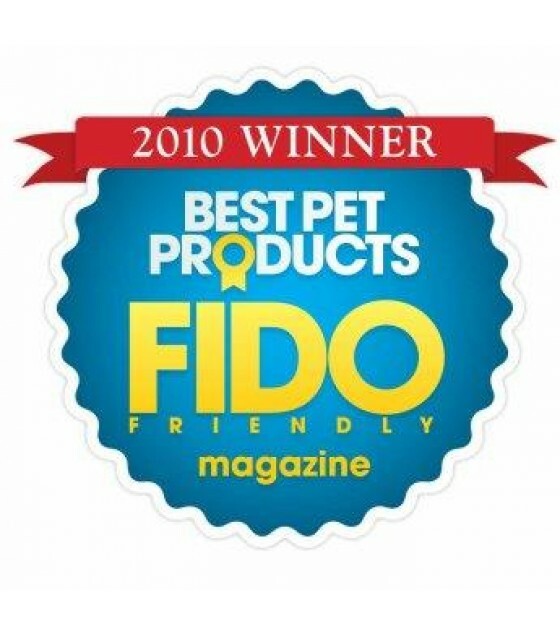 This patented product is perfect for the pet on the go! The six, exterior pockets are labeled so you no longer need to dig through a cluttered bag. 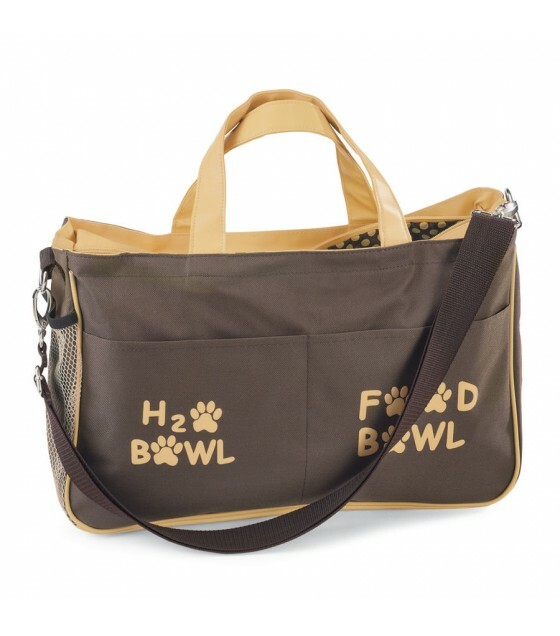 Pockets hold a water and food bowl (2 cup stainless bowls included. ), water bottle, brush, treats and bones. The side pocket is mesh to hold the water bottle and the other side is decorated with 3 paws.